(AMP) is a great way to make content on your website accessible in an extremely fast way. To help ensure that your AMP implementation is working as expected , Search Console now has an enhanced AMP testing tool. 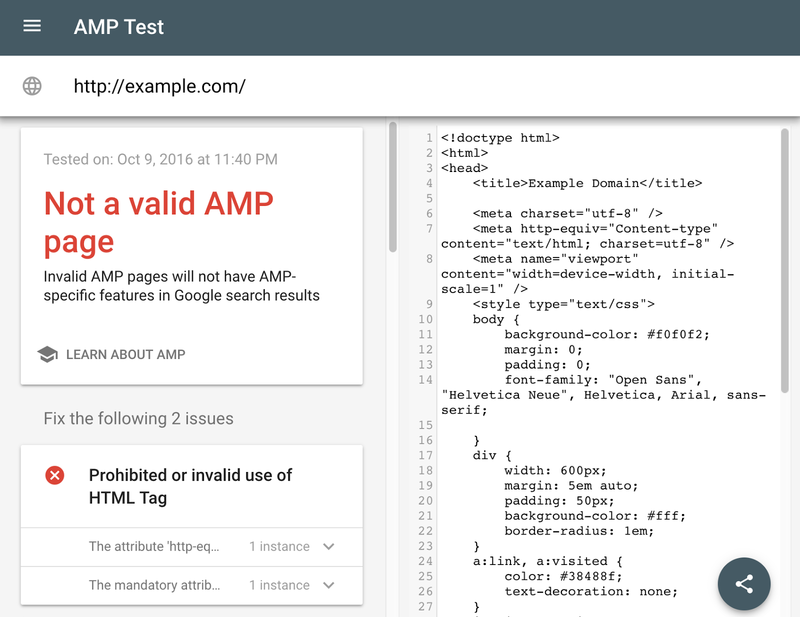 This testing tool is mobile-friendly and uses Google's live web-search infrastructure to analyze the AMP page with the real Googlebot. The tool tests the validity of the AMP markup as well as any structured data on the page. If issues are found, click on them to see details, and to have the line in the source-code highlighted. 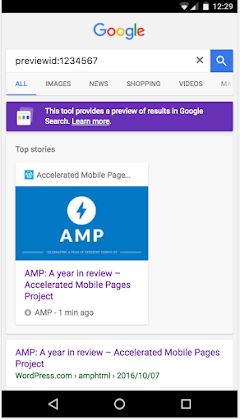 For valid AMP pages, we may also provide a link to a live preview of how this page may appear in Google's search results. With the share button on the bottom right, you can now share a snapshot of the results that you're currently seeing with others. This makes it easier to discuss issues with your team, whether they're regular occurrences or one-time quirks that you need to iron out. Just click the share button and pass on the URL for this test snapshot. This share feature is now also available in the mobile-friendly testing tool. We hope this tool makes it easier to create great AMP’d content while finding and resolving issues that may appear on your AMP pages. For any questions, feel free to drop by our webmaster's help forum.